Moscow, July 9, Interfax - The Russian church official believes worth-considering the results of the match between Brazil and Germany, when the latter won 1:7. 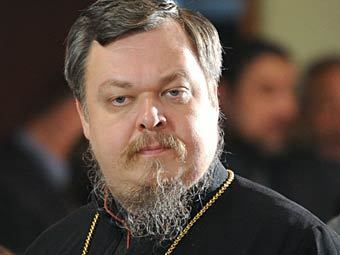 “Sensational results of the match, in fact, give us an important lesson: many things in life depend on inner mood, depend on our will,” head of the Synodal Department for Church and Society Relations Archpriest Vsevolod Chaplin told Interfax-Religion on Tuesday. According to the priest, Germany managed to win thanks to inner power of its players. “The teams were equal. Perhaps, the Germans were a bit stronger, especially after the trauma of the leading Brazil forward. But Germans managed to 100% win physiological duel and when Brazilians started losing, they lost their nerve and could do nothing, but a goal of prestige in last minutes,” Father Vsevolod said.